when u cut the hair do u think the ends are perfectly smoothe and rounded or pointed? thats like theres this guy that wrote the entire bible on a match stick or carved it into a grain of rice..thats like him worryinmg aabout a typo..
but whats your job could be from something at work? even over heating with a blow dryer? that sounds like what hes talking about. it from hair falling from your head and getting tangled in the dread. thats normal. 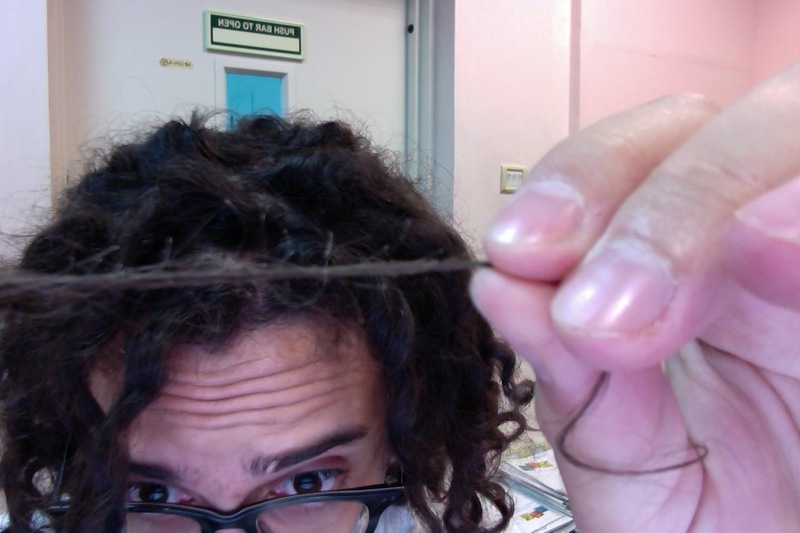 thats why dreads end up being as thick as the section. leave them alone. and like soaring eagle said, cutting hair makes split ends lol. i realized this recently, because if you let hair grow, then it becomes tapered at the end. when you cut it, its flat and splits easier. i dyed my hair with henna and it dyed those little follicles red, which i kinda cool. 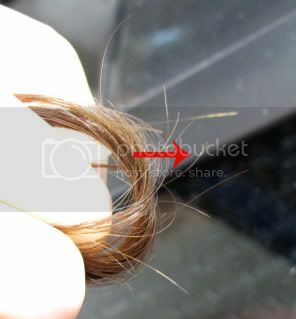 You don't mean hair thats fallen out and tangled at the ends do you? Like hair follicals?